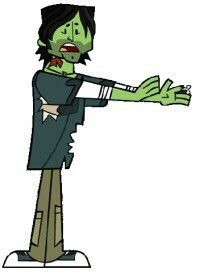 Zombie Chris. . Wallpaper and background images in the Total Drama Island club tagged: tdi tdwt tda. LOL! this looks sooo cool! how did you make it? isn't from the clue moive on TDA? either way you did great!